Lab members Ashley Zenzen (MSc student) and Blake Fauskee (senior undergraduate) recently participated in the Organization for Tropical Studies graduate field course Tropical Ferns and Lycophytes, in Costa Rica. The course was taught by a group of esteemed faculty, including: Dr. Robbin Moran (New York Botanical Garden), Dr. Eddie Watkins (Colgate University), Dr. Alejandra Vasco (Botanical Research Institute of Texas), Dr. Carl Taylor (Smithsonian Institution), and Dr. Wes Testo (Postdoc at the University of Florida). 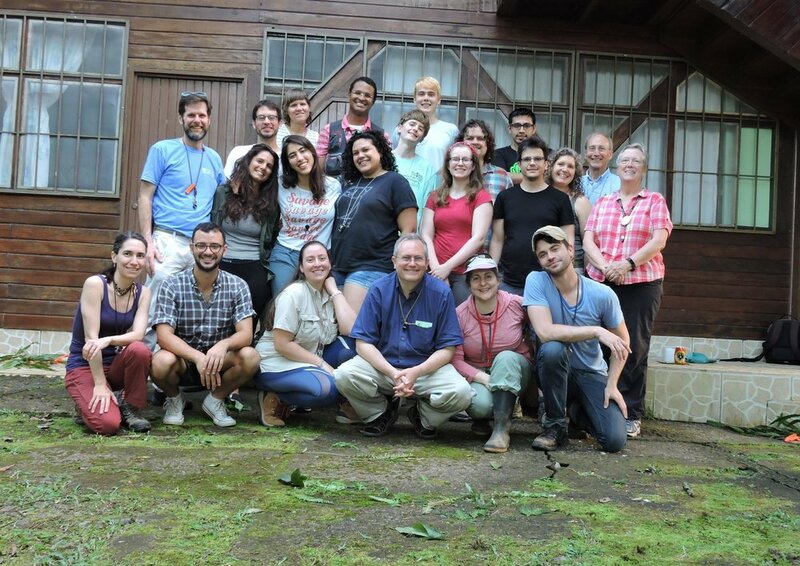 Participants and faculty, Organization for Tropical Studies: Tropical Ferns & Lycophytes graduate field course. 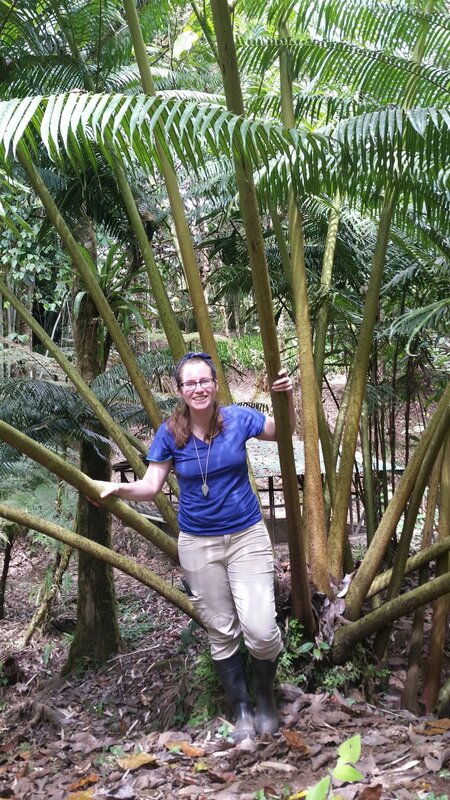 Throughout the two-week course, Ashley and Blake saw 107 different fern species! In addition to experiencing the vast diversity of ferns in the New World tropics, students took part in a chromosome squash lab led by Dr. Taylor, as well as an ecophysiology project led by Dr. Watkins. Sixteen students from five different countries participated in this immersive course. 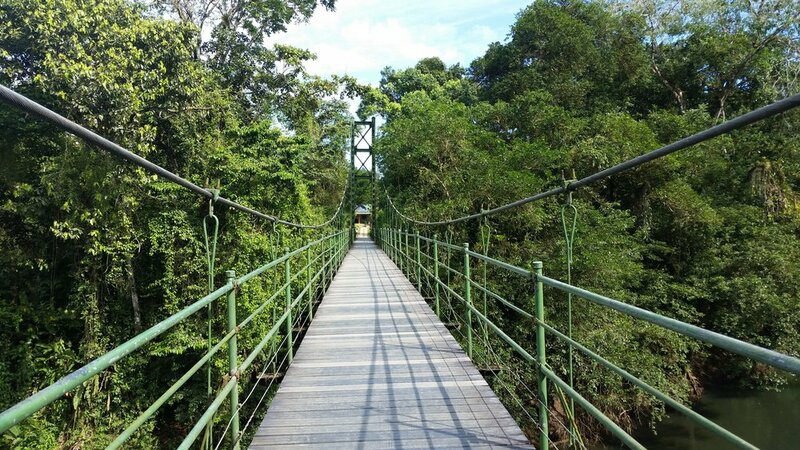 Their travels took them all across the country, with stops at Las Cruces Biological Station, La Selva Biological Station, and Parque Nacional Braulio Carillo. Ashley and Blake returned from the course with a deeper understanding and appreciation for fern taxonomy and systematics as well as numerous new friendships with peers and faculty.